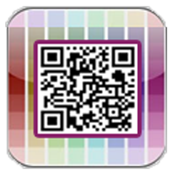 HT Scanner-Enables you to scan Quick Response codes. The QR codes may contain information in the form of SMS,Call to number,Email to multiple id's,Location trace, Business cards,Contest Coupons. 1) HT Scanner have Location trace ability,on the basis of Longitude & Latitude. 2) HT Scanner also have contest coupon functionality which the user can scratch to participate in contest run by HT Clients. 3) HT Scanner has the facility to save the scanned business card details in phone memory.